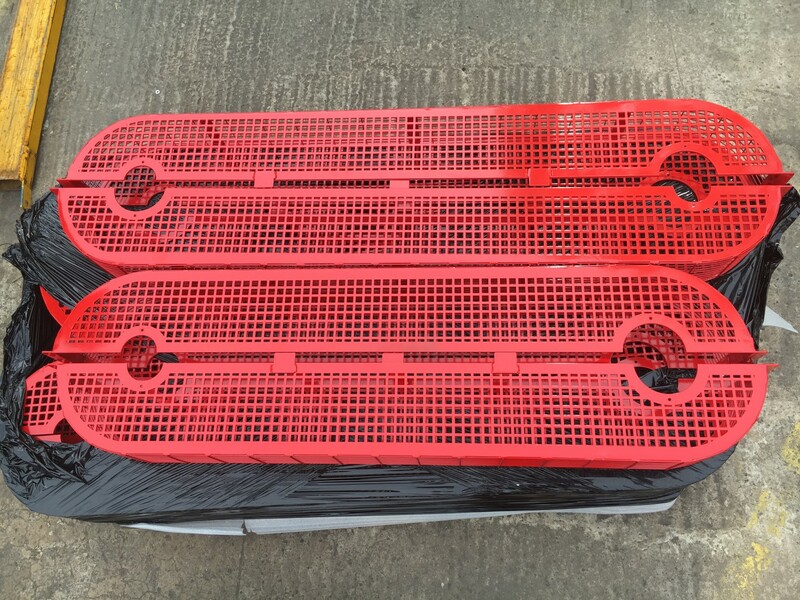 The AHU Belt Guards have been designed and manufactured for a midlands based automotive client for use on the Air Handling Units located within the assembly area. The guards have been designed to cover the AHU Drive belts while still allowing for visual and tension inspections to be carried out by the maintenance staff without the need to remove the guard. Manufactured from laser cut sheet steel and 1/2″ x 1/2″ weld mesh, the guards will have 2 half sections to fit over the belts and pulleys which fit together to fully enclose the moving parts. The guards will be fixed in place using 40mm x 3mm angle brackets. There are 5 sets of guards, each set has been custom made to suit each AHU. All guards and mounting brackets have been powder coated to give a hard wearing durable finish.